One of the best deals going in economy class award redemptions is between North American and Europe with the American Airlines Aadvantage program. You can redeem awards for only 20,000 miles each way when you fly off-peak and all you have to pay is the actual taxes for your flight. Better yet, this phenomenal bargain is available when departing Europe, unlike on Delta where you have to pay a fuel surcharge ex-Europe. However, this comes with a catch: it’s really hard to find transatlantic award availability on American Airlines, even in economy class. British Airways has plenty of availability, and you can redeem your miles for flights with them, but you have to pay a ridiculous fuel surcharge which costs nearly as much as just buying a ticket would. 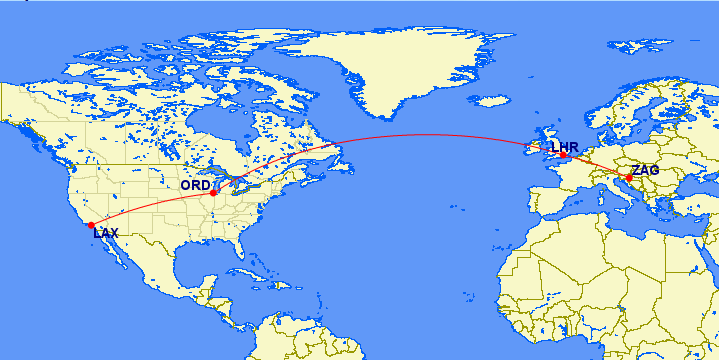 So, I was excited to find an itinerary that would work to return me from Zagreb, Croatia to Los Angeles.The first segment was on British Airways to London, and then the onward segment left two hours later on American Airlines via Chicago. I paid a total of about $80 in cash and 20,000 miles. Life was good. My original itinerary would get me to LA in one day. Yes, I did want to speak to a supervisor. The supervisor was much more experienced and personable on the phone, and for the first time, I spoke with someone who could actually explain the true reason for the call. British Airways changed the schedule of my outbound flight from Zagreb to London, and they only had one flight a day. This would get me into London too late for me to have any option to return to Los Angeles on the same day. And there weren’t any options to connect through another city. So I had a choice: I could either be stranded in New York or in London overnight at my own expense. Or, I could have my miles refunded and figure out another way to get home. Which bad option would I prefer? I’d prefer neither, actually. Figuring there might be something wrong with the information I was being given, I got in touch with the excellent American Airlines customer support team on Twitter. They confirmed that I actually didn’t have any other options, and American Airlines really did plan to just strand me overnight due to a schedule change. Mind you, there is a British Airways flight that would get me back the same day, and British Airways created the problem by changing their schedule, but being accommodated on the British Airways flight wasn’t an option unless I paid their fuel surcharge. I ultimately opted to be stuck in London overnight. It’ll be cheaper than being stuck in New York and with a better chance of avoiding East Coast winter weather delays at the airport. Granted, I’m redeeming miles for the ticket. I don’t have any status whatsoever. And American Airlines is pretty much unaware that I’m the author of Seat 31B, so I believe they treated me no differently than they would treat you or anyone else. Still, this drives home a valuable lesson: Airlines can change their schedule whenever they want, strand you overnight in a connecting city, and dump the problem on you. Plan accordingly. Alaska Airlines has, in my opinion, one of the most valuable frequent flier programs of any airline. So when there’s an easy opportunity to earn 2,500 bonus miles, I jump at the chance! On a recent flight to Seattle, my bag arrived on the belt 25 minutes after my flight. With most airlines this would be pretty fast, but with Alaska it’s 5 minutes later than their 20 minute baggage service guarantee. No kidding: Alaska guarantees that you’ll have your checked bag at the carousel no more than 20 minutes after your flight, anywhere in their system. What does Alaska give you if your bag shows up late? Either 2,500 Alaska Airlines Mileage Plan bonus miles, or a $25 discount certificate good toward a future flight. This effectively refunds your checked baggage fee and you can even come out ahead if claiming the miles, because those are more valuable than $25. Bonus miles for late luggage, delivered! To claim your miles, just see the baggage service representative. They’ll give you a voucher that you can use to either claim the discount or the bonus miles. It is fast and hassle-free, provided that your bag really was late. They do actually check. All bags are scanned as soon as they show up on the belt, and the time is compared with the published flight arrival time. So, no claiming the bonus unless your bags really are late. The best part? I didn’t even pay for the checked bag! Alaska Airlines is running a promotion for the month of January where checked bags are free. So, checking a bag paid off more than simply avoiding the hassle of fighting for space in the overhead bin. All I had to do was pay attention to my watch and make an easy claim! Where have you been in Seat 31B? A little over a year ago, I took a trip that was pivotal in my own life experience. It was to Armenia and Georgia. When I got back, I had to share the experience–it was that incredible. It’s also one of the most detailed trip reports I have ever written, and ultimately, this experience led me to start Seat 31B. To the glory of Socialism! Hainan Airlines is offering an $80 promo code on flights to China. You can click here to get your own promotion code, and in fact, you can get up to 3 of these per day (maybe, I was only able to retrieve two). 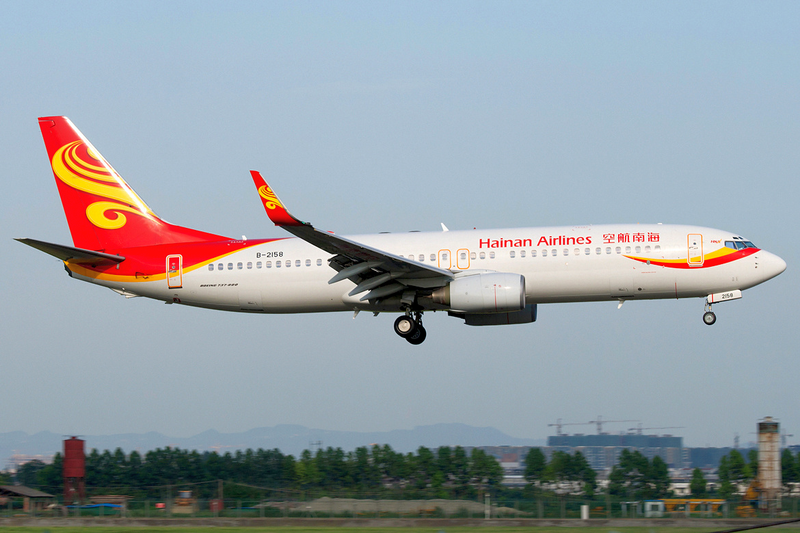 The promotion codes can be redeemed throughout the entire year for flights on Hainan Airlines. 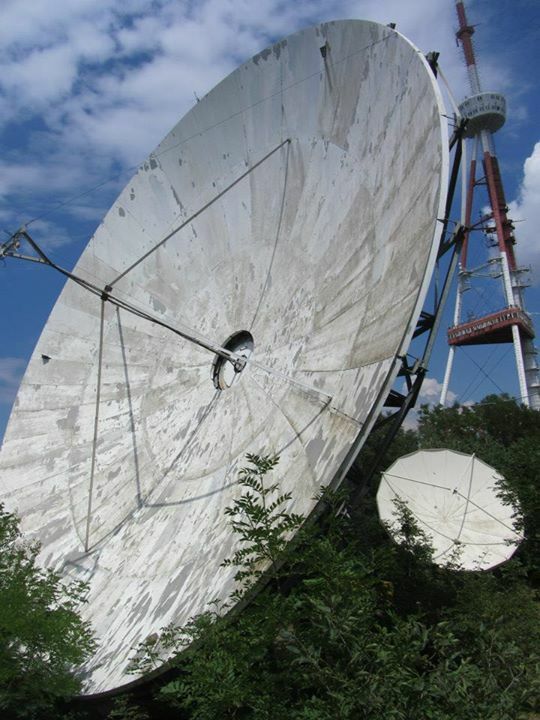 There are a limited number of promotional codes available. Go grab some right now if you think you might travel to China within the next year. They fly nonstop to Beijing from Seattle, Chicago, Toronto and Boston and onward from there to most major Chinese cities. If you’re coming from another city, they can sell you a flight that includes connections on American Airlines. Given that Hainan typically has some of the lowest fares to China from the West Coast, this could be a steal of a deal. On a typical fare of $800 between Seattle and Beijing, you will save 10%. Hainan isn’t a member of any frequent flier alliance, and they do not offer miles and points with any US airline. However, the value of points you can earn from Delta, their primary competitor on this route, is now negligible on low fares. You can earn points in Hainan’s own program, which isn’t particularly good, but can offer good value if you redeem the points for flights with their partner Hong Kong Airlines. How’s the service? Very good, actually. They have the highest SkyTrax rating (for what it’s worth) and fly new modern aircraft with excellent inflight entertainment. Crews are friendly and the food isn’t bad. Hainan Airlines has to meet all the same safety standards as any other airline operating within the United States, so I wouldn’t worry about that either. I have helped many friends from Seattle fly to China on Hainan and most people have been surprised in a good way. Most people need a visa to visit China. Here’s how to apply by yourself and save agent fees! A lot of people have contacted me with the same question: “How do I save on my trip to the Super Bowl?” Well, despite being from Seattle, I’m not really a football fan. I can’t help you find tickets to the stadium or get them any cheaper, but I do have some advice about how to save money on getting to Phoenix, and getting around Phoenix once you’re there. Phoenix has relatively few flights and is a fortress hub of US Airways. When a city is a fortress hub, it generally means that flights are more expensive because there is a single dominant carrier, which makes it harder for other airlines to compete. And let’s face it, airlines aren’t dumb. They know that these are special dates and they’re charging a premium for the flights. Many sites suggest using hidden cities itineraries on US Airways. I actually don’t recommend this, because these can be very risky. So, while you might find a good deal on a flight to Phoenix (it’s not likely, but possible), or through Phoenix (possible, but with considerable risk), it’s fairly unlikely. that you’re actually going to find a good deal to anywhere within 300 miles of the place. That’s why I think alternate cities are a better strategy for the Super Bowl. This little airport could save you big money. 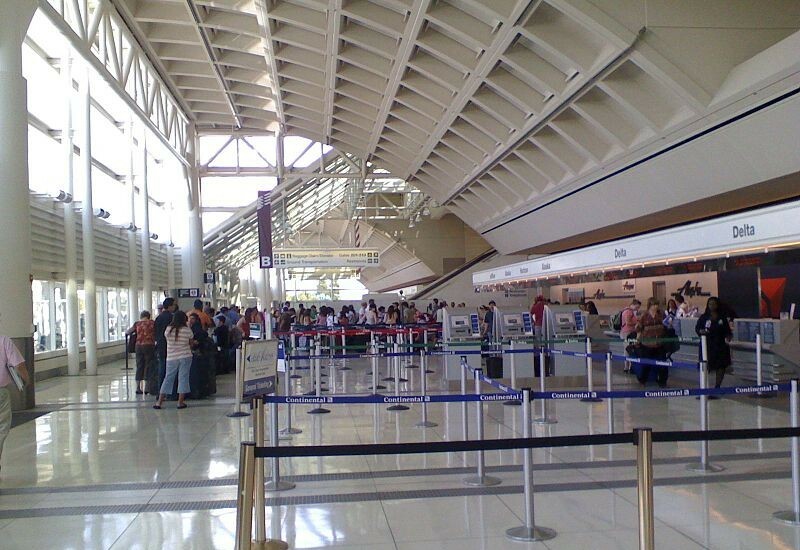 Often overlooked, there are airports in Ontario and Palm Springs, California. If you are traveling to the Super Bowl, you should consider both. 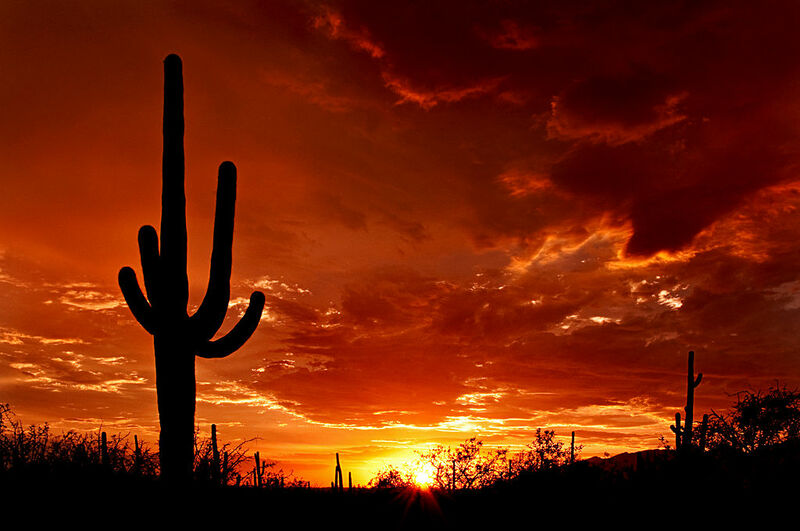 These airports are both a reasonable drive from Phoenix and also, as of this writing, have far more reasonable prices for rental cars than any rental agency in Phoenix. There aren’t many direct flights to either place, and you’ll probably have to take a connection along the way. However, even if one of the connections passes through Phoenix, it’s probably best to continue all the way to California. Most rental cars are sold out in Phoenix during the Super Bowl at this point, and the few remaining cars are very expensive. However, there are still plenty of rental cars available in Ontario and Palm Springs for the same dates. Palm Springs is less than a 3 hour drive from Phoenix, so this is a particularly attractive destination. As of this writing, flights to both destinations from many cities cost as little as 1/3 the price of a ticket to Phoenix. It’s also worth considering the cost of hotels. The Super Bowl will be held on the west side of Phoenix. The farther you get from the center of Phoenix, the less expensive hotels are. In fact, some $70 rooms are still available at the Black Canyon Motel 6 location. Since the Phoenix airport is on the east side of town, hotels near the airport and near the Super Bowl stadium seem to be the most expensive. Having a rental car will give you considerable flexibility in where you stay, and may help to save you a fortune. Speaking of rental cars, fuel is usually much less expensive in Arizona than it is in California. Costco tends to have the lowest prices, if you’re a member. There is also a Costco in Palm Desert, California, where you can fill up before returning the car to the airport. If you are traveling to the Super Bowl, I hope this was helpful. I definitely won’t see you there, but I hope you both have fun and save money!